Davids Medienkritik: SPIEGEL ONLINE: "Collapse of the US Infrastructure"
SPIEGEL ONLINE: "Collapse of the US Infrastructure"
It wasn't entirely unpredictable. When the bridge in Minneapolis collapsed, we at Medienkritik realized it was only a matter of time before members of the German media would attempt to interpret the tragedy much as they interpreted the New York power outage several years ago: As a sign that America is in a state of total collapse and decay. Well - we didn't have to wait long for the disingenuous sensationalism to materialize. SPIEGEL ONLINE's Marc Pitzke - the anti-American hack-of-hacks - quickly came out with a piece that headlines: "Collapse of the US Infrastructure." The article features a seven-part photo series entitled: "US Infrastructure: Decayed, Ailing, Defective." Endnote: Ironically, Minnesota - the state responsible for maintaining the bridge - is (along with Vermont and Massachusetts) perhaps the most ideologically in tune with Europe in terms of favoring left-leaning social, political and economic policies. 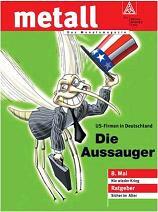 Nonetheless - the German media will certainly find some way to drum up the usual charge: This is all Bush's fault. "Ironically, Minnesota - the state responsible for maintaining the bridge - is (along with Vermont and Massachusetts) perhaps the most ideologically in tune with Europe in terms of favoring left-leaning social, political and economic policies." The bridge in Minnessota was a state problem, not federal. It is also good to know that Minnessota has a $2.3 Billion budget excess. Isn't it surprising that the Democrat controlled States, including Louisiana have the biggest problems with corruption? Should have added that we have state rights and also responsibilities. What Spiegel and most Germans may not realize....is that their own infrastructure is in a negative situation. Come on down to Rheinland Pfalz and check out the major bridges which are on a list to be replaced but the state can't replace them currently because of a lack of funding...so they do what they can. The state-run pool in Kaiserslautern which needed replacement in the 1990s...never got on the list...so a commerical operation built a indoor pool which charges 3 times the amount of the previous entry fee of the state-run pool...which irked the locals big-time...but at least they got a chance to tear down the old state-run pool. The city infrastructure of Kaiserslautern...in terrible condition prior to the world-cup games....got a huge imput of funding...thanks to their staging a couple of games in town...which normally, they'd never have acquired such funding or cleaned up the town. My local village operates a dilapidated old outdoor pool which was built in the early 1970s. It leaks and the entire grounds structure is in awful shape...but the village only gets around $15k a year for maintenance....so it will likely never be fixed and just continue to get band-aides until some political group jumps into the mess. If you really want to see some run-down state-controlled buildings...head down to Saarbrucken and just walk around. Germany has huge issues and they can't possibly come up with cash over the next 20 years to fix half of the problems out there. At least they aren't blaming the bridge collapse on global warming. Or is it climate change. Well what ever it's called now, they aren't blaming it on that. But let us not forget the grand daddy of Euro disasters: The August 2001 heat wave. 15,000 elderly died because the socialized health care system was vacationing on the Riviera. I WAS (past tense) an american expat who lived in Germany for nine years. Just moved back to the good old USA this week. Although there were many things I enjoyed about my stay in Germany, one thing I will not miss is the growing anti-americanism in Germany. I have never been a patriot, and I used to be a die-hard Democrat, but the stuff coming out of Germany and Europe regarding the USA is absolutely pathetic. Things have improved slightly under Merkel, but Schroeder opened the floodgates, making it PC to be anti- American. Anti-Americanism existed before, but he helped to make it mainstream. I have come to the point that if Germany ever needs our help again (and they will), I am debating on whether to be a vocal voice against any American aid to Germany. 'weltfremd' Amis knew about what their German and European 'friends' really think of them. I am going to treat myself to a vacation from the German media, so I won't be visiting this site for awhile. "Not only is this headline beyond constructive criticism"
Der Spiegel - any media - has the primary job of reporting facts. Offering solutions is a politician´s job. One cannot blame the media for reporting facts one does not like. "Isn't it surprising that the Democrat controlled States, including Louisiana have the biggest problems with corruption?" The Economist claims in its article "Investigating Alaska" that said Republican controlled state is the leader in US corruption. But maybe all corrupt Republican are Democrats in disguise, as Fox News tends to label corrupt or anti-war Republicans with a "D", and Fox News is fair and balanced. But this is off-topic, as this blog is about evil Germans, not evil Democrats. Check it out, hate pedlar Pitzke finally got a word in edgewise at SPON again! I thought he'd died and gone to the circle Dante reserved for German journalists. He used to be SPON's hate monger par excellence, but over-the-top propaganda has been oddly passe there lately. They really have been a great deal more "objective" and "balanced" recently in comparison to, say, 1999 or 2000, back in the day when their "reporting" made Julius Streicher look like a choir boy. Too bad we can't reproduce the SPON of yesteryear for today's readers, just to show them how bad it really was once upon a time. They're positively sedate nowadays by comparison, having evidently noticed that people across the pond were starting to watch them, and that the crude propaganda they were fobbing off as "news" might be a little too strident, even for the morons who pass out international prizes for journalism. Kudos to DMK and others for rubbing a few faces in the truth long enough to make them notice it. SPON couldn't pass this one up, though. They trotted out good old hate pedlar Pitzke himself, duly tarted up as a faux expert in civil engineering, to proclaim the doom of the entire American infrastructure, to the cheers of the usual mob of anti-American yokels. Can we ever drive over a bridge again without an icy chill going up and down our spines? And, for that matter, who can begrudge our old friend hate pedlar Pitzke his latest 15 minutes of fame? SPON had tossed him aside like yesterday's fish-soaked newspaper, ignoring his many past "positive contributions" to the anti-American party line. It was as if he had suddenly become as imaginary as the phony "Amerika" he created with his pen. Let us welcome him back, then, with a tolerant smile, and commiserate with a loyal lackey who deserved better of the boSSes at SPON than to be dropped down an Orwellian memory hole. OK, everyone has been sitting around waiting for the GW charge to be thrown at GWB. If I may offer my services, Ahem. GWBush refused, REFUSED, to sign the Kyoto treaty which put more CO2 in the air from all the SUV's that people kept driving because they weren't outlawed. The CO2 in addition to some water that was left over from the last ice age trapped some heat that didn't come from the sun causing the earth to expand which stretched the US continental plate which caused the bridge to pull apart. Hmmm, only eight steps from cause to effect. I think that with some help we can get the series down to three steps, then we'll be able to publish. Probably in the US cause they like these stories too. Helian you're a physicalist, can you trim this down while still maintaining the flavor? I live in a suburb of Minneapolis and can report that a few of our many liberals here have already lined up to predictably and opportunistically blame conservatives for the Mississippi River Bridge collapse implying that our "messed-up priorities" (i.e. Iraq war) has led to reduced spending for road and bridge construction. Actually GWB (remember, he's a "compassionate conservative" which means he likes to spend...alot) signed a $286 billion six-year transportation bill back in August 2005. Minnesota can expect to receive about $3.5 billion in federal transportation funding through 2009 which is an increase of about 46 percent (or about $1.1 billion) over the previous six-year bill. This type of funding primarily goes directly to projects such as road and bridge work. Funding, or lack thereof, probably won't be the culprit here. It was interesting to watch this thing evolve over the past few days on the state-owned German TV channel 'ZDF'. First up, they reported things as they were: the collapse, the situation, the deaths, the missing, the rescue efforts etc. Now, for two days in a row their main evening news 'heute' have braught extensive reporting about the "badly maintained" infrastructure in the U.S., accompanied by interviews with representatives of German authorities who assure us that German buildings are in excellent state and shape. But all this doesn't get mentioned by the German state-owned politically-biased media today. They use this incident as an opportunity to again showcase the superiority ot the German all-state-controlled way of doing things. It speaks for itself that they can achieve this only after omitting a part of the facts. The German cultural English language site Signandsite recently dealt with an interview, sociologist Wolfgang Sofsky, "who, defends the private sphere in Germany against ever greater infringements in the name of terrorism control and tries to explain Germans' resignation to these constraints on their freedom. There's something missing in Germany: anti-totalitarian consciousness." I posit that Sofsky's "sensitivity for the threat to freedom" comes with the Enlightenment's philosophy of Libertarianism, that was - at heart - an Anglo-Saxon project. It brought with it the blessings and accomplishments of human autonomy, the individual as operative unit, limited government, free market and a laissez faire attitude towards economy, and all what comes with reason and the right of free enquiry: technology, mechanization, and the scientific method. Why is it that every time a tragedy occurs in America, the ghoulish German media start spitting on us before we've even buried our dead? Schadenfreude is a word which could only have been invented by such a bitter, hate-infested culture. I feel sorry for the sensible Germans who are stuck in such a spiritual cesspool. A few things about money, taxes and the lovely People’s Democratic Republic of Minnesota. The people of Minneapolis spent a billion dollars on a light rail system that is little used and eating up money left and right. But hey, it’s progressive, so what the heck. Also the citizens took private land, and spent almost another billion dollars on a base ball stadium, for a private team owned by a Democrat billionaire. But hey, nothing is too good for a friend, and everyone loves a kid’s game of baseball anyways. So, of course the fault lays with GW and the Bush administration, even if they signed on to every yet more road money for the poor citizens of Minnesota. There is and was plenty of money. As a failed engineering student, I kind of feel sorry for the bridge. It was worked hard for decades, and she gave every sign that she needed help but still hung in there. Too bad the Democrat Party system cared more for futuristic eyeball candy like the light rail and mob palaces like the stadium then a highly productive bridge. But, whither it is businesses, or skilled trades, or a bridge, what is modern socialism about other than working something until it collapses or moves away? I’m sure if the bridge could have moved, it would of. Actually, in a way it did go away. So wusste die junge Nation Mexico bis 1848 nichts anzufangen mit ihrer Nordprovinz. Die Sorge und das Land nahmen ihr dann die Yankees mit Gewalt. Sein Misstrauen gegen die Bundesregierung ist radikal. In diesem Staat seien die Polizisten bei Verkehrskontrollen höflich, weil sie geladene Waffen im Fond erwarten. Es gebe viele Vietnam-Veteranen, Washington möge sich hüten: „Don’t mess with New Mexico“. Even in an article about Steffie Graf, the reporter could not miss the slam about her having to live in that terrible country. Oh well, business as usual. Carl, it looks like the Twins will be holding off on the groundbreaking for that stadium now. To late to return the land tho'. "He had hoped to become an auto mechanic, he said, but dropped out of a training program at Christmas because he could no longer afford the tuition." I dunno lady, think what could have been done with that money for the stadium. Idiocy is globalized. *Jeremy helped get kids off a school bus that was on the bridge when it collapsed. People have been bitchen about the roads since they were log turnpikes. I know in my lifetime the roads, by and large, have improved. I can remember hours of rail road like slapping from interstate poured concrete slabs and the oscillations of the hugh family station wagon. German citizens might not know that for decades the US has been sort skilled mechanics, and most dealerships pay for training while you are getting your normal pay. Of course you can take the option of Jeremy Hernandez and go to a school then get a job. But, it isn't necessary anywhere, and hasn't been for decades, if not longer. Somehow I guess that Wendy " I am currently writing a gay cultural biography of the modern British writer E.M. Forster " Moffat isn't too knoledgible about how skill tradesmen are generated in her own country. Homepage here. Yep. My dad worked for General Motors. I grew up knowing tons of people who owned auto dealerships. After I left school, two of them offered to train me as a mechanic if I promised to work for them for 5 years so they would get the return on their investment - including the tools, which are expensive. I almost did it. But two things just wouldn't go away - I'm physically small and overt sexism in that profession was the norm back then - before gawd started making dirt. So, I too questioned Jeremy's story about 'tuition' - if there was a money problem it was probably about the cost of his tools. when coming back to the States. the German border guards? lucky to get a grunt, if they even look at me. German bashing? maybe.. aber Freunde duerfen Freunde kritisieren! MikeH-I hope your comment was ironic as Pres. Bush cannot sign any treaty without the approval of the Senate. In 1998 the 105th Congress passed a sense of the Senate resolution, Byrd-Hagel Resolution, was passed 95 to 0, which suggested that they would not approve the Kyoto Treaty but also that he, Pres. Clinton, should not even bother introducing the treaty into the appropriate Senate committee. feels good, don't it? Yeah, even coming home from a week in Vancouver when we didn't need passports, - and Vancouver is absolutely lovely, no knock on them or theirs - the customs people at Dulles were great! It's hard to explain. Europeans equate patriotism with nationalism and nationalism with war. They don't know how to love their country w/o buying into slaughter. We are so lucky. I don't love my country because my citizenship makes me a big deal by association. I love this country - and love is the right word, not patriotism - because it has given me everything. My parents. My work. My faith. Sometimes absence thereof, which was just as important. My hope. My roots and my wings. You are right. That is what allowed me and mine, including my ancestors, to fight to make things right. Every society has its lesser and better privileged. The very fact that my father was born into the coal mines of western Pennsylvania and his children ended up the privileged daughters says more than any words of mine ever could. May God Bless the United States of America. And may God find a way to use me to do it. "So wusste die junge Nation Mexico bis 1848 nichts anzufangen mit ihrer Nordprovinz. Die Sorge und das Land nahmen ihr dann die Yankees mit Gewalt." "Thus, until 1848, the young nation of Mexico had no idea what to do with their northern province. Then the Yankees relieved them of this concern along with the land, by force." This is one of the more charmingly Orwellian pieces of disinformation I've seen in the German media in awhile. As the great author said, "He who controls the present controls the past." In fact, the citizens of what is now Mexico had a very good notion of what they wanted to do with the territory that is now New Mexico and Arizona, and acted on it accordingly long before 1848. In fact, by 1750, the area already boasted an extensive and flourishing population of Mexican settlers, engaged mainly in agriculture and mining. Unfortunately, the local Apaches and Navahos found the company of these illegal immigrants tiresome, and, unconstrained by modern notions of political correctness, proceeded to ethnically cleanse the region, completing the process by around 1800, unfortunately resorting to methods that would hardly have pleased modern human rights activists in the process. When the gringoes finally did arrive, they were uniformly amazed by the extensive ruins left behind by these earlier and less successful squatters. Being made of sterner stuff than the population that had preceded them, of course, they roughly brushed the Apaches and Navahoes aside, showing a lamentable lack of gratitude to those who had so obligingly cleared the field for them. It goes without saying that, while true, these incidences of Indians successfully defeating and throwing back the tide of "European" expansion, not to mention their gleeful participation in ethnic cleansing with all the trimmings of gruesome torture, plunder, and rapine, hardly fit the agenda of the people who write our children's school history textbooks. It all had to be dropped down the "memory hole," and the usual doublethink applied by those members of the "inner party" who knew the real history. As for those earlier squatters, they had the good sense to bide their time until the evil North Americans had successfully completed the dirty work and set the table for them, and, as we all know, are now once again pouring across the border in unprecedented numbers, with a shocking a foolhardy lack of interest in hate pedlar Pitzke's cautionary articles about the disastrous state of the traffic infrastructure. The great Orwell would have smiled. let's not forget that the mexican settlers themselves wanted to be integrated into the US, if nothing else, for protection from the indians. We also paid for the land acquisition after the treaty. Mileh: Please don't let facts get in the way of your posting. Keep going. By the way, did you know that the evil American fleet of cars gets better gas mileage than the German? You wrote, "I love this country because it has given me everything." That rang a bell inside me and reminded me (again) of what this country is lacking. Imagine this situation: you returned home after a seven years long stay in Australia, and no one tells you "Welcome back." After a while you discover that while you were abroad some things have dramatically changed in your country. I.e. if you say you want to support your parents because they need help and you are grateful no one would understand. If you say you love your country people would call you a right wing nut job. If you say you believe in God they would scoff at you. If you say it was right to oust Saddam Hussein from power they wouldn't even let you explain why. If you dissent from the p-c opinion of the MSM you would be the odd man out at every party. If you say it's wrong that there are so many laws and restrictions they would just shrug it off. So, most of your values would have become worthless, your roots would be dry and your wings you wouldn't be able to use because that's not the way it works in this country. That's what happened to me, and I had the choice: try to change myself and let go of my values, try to change the surroundings and keep my values, or go back to that country (Australia) where country and my values fit together. I took the 3rd option. As amiexpat said, something like that was there earlier (it started actually in the late 70ies) but when Schroeder was chancellor it multiplied. Sorry, forgot to say I am living in Germany now. are you a German who moved to Australia, came back to Germany, and now plan to move back to Oz? i wish you alles Gute..
no one told you "welcome back"? Somehow not surprising. I have been told welcome back frequently, and I have only been back five days. Darn Pamela@6:04PM, I knew someone could beat me but I didn't expect it to be in one step. I think that she cheated. BTW, Bush blaming is similar to Hiaku, a measured series. For Bush blaming the series has to be three steps or it isn't included in the judging. Mike H., I think you've inspired a game that I can play while reading the news; Six Degrees to Global Warming! Who knew it could get even more entertaining? Mike knew. I guess everyone has heard about the new foot and mouth outbreak in the UK and the possibility of the virus originating from a nearby laboratory. When the German TV channel ZDF reported about it yesterday (national news at 7pm) they were eager to point out that lab was actually part of an American company. See the second news on the right hand side? It reads "Development in Germany heightens the concern that bluetongue virus may come to UK this year (press release of 22 June 2007)". Myself, I have heard quite a bit about bluetongue from farmers here in Germany. But it was rarely on the news. So, there is actually one virus spreading in Germany and the German media almost ignores it, then there is a virus in the UK and German TV jumps into hyperactivity and even come up with some story about an American connection. 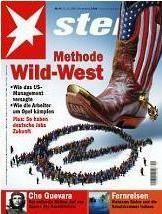 It is this kind of twisted and deceptive news that causes and maintaines the strong antiamericanism in Germany. And it happens almost daily. The German people don't have talkback radio, they don't have a well working blogosphere like the U.S. and thus have hardly a chance to see the other side of the coin. Part of my job is to track agriculturae issues in Europe, so I've been following this issue. It seems 'Pirbright' is the name of the site which houses quite a consortium. Some of it is owned and operated by the UK gov't. The company at the Pirbright site that makes the suspected vaccine is called Merial. Merial is indeed jointly owned by the U.S. Merck and the French Sanofi-Aventis companies. My guess right now is that the big scandal that will be coming out of this is that EU farmers are allowed to NOT vaccinate for this - I haven't figured out why - something to do with cost/return on investment issues? And what the hell is bluetongue? You guys need to start thinking about setting fire to Brussels. O.k., so I wasn't entirely right. Thanks Pam, for correcting me. As Ray said in one of his interviews, the people who spilled their hate and bias against America in the German media are still there, they haven't changed their jobs. They might be more or less quiet, but this doesn't mean that they started loving America or the truth. No, they just recharge their batteries. One of the difficulties in vaccinating against FMD is the huge variation between and even within serotypes. There is no cross-protection between serotypes (meaning that a vaccine for one serotype won't protect against any others) and in addition, two strains within a given serotype may have nucleotide sequences that differ by as much as 30% for a given gene. This means that FMD vaccines must be highly specific to the strain involved. Vaccination only provides temporary immunity that lasts from months to years. Currently, the OIE recognizes countries to be in one of three disease states with regards to FMD - FMD present with or without vaccination, FMD free with vaccination, and FMD free without vaccination. Countries that are designated FMD free without vaccination have the greatest access to export markets, so many developed nations, including Canada, the United States, and the UK, work hard to maintain their current FMD free without vaccination status. The problem with vaccination is that vaccinated cattle will show up positive in any F&M-test. This makes controlling a real outbreak hideously difficult in that all vaccinated cattle would have to be slaughtered in any case, if there was a real outbreak, which, as the above paragraph shows, can happen even with vaccination. The US have been very luck so far. So, if you are quite through now? Two minutes with a browser would have given you all that information. Of course it would have spoiled your cheap harangue. "Of course it would have spoiled your cheap harangue. "The US have been very luck [sic] so far". Oh yeah. Cause they are stupid, everything bad NOT happening in the US must have been lucky [sic]. But anything bad happening over there, at the same time, can never be bad lucky [sic], it must be a failure of the American dream. I think we all get it, Jörg. Move on. The US has been lucky these recent decades in that there was no large outbreak of F&M. This is partly due to geographical luck, partly due to a strict import regime. However, that can change. Concerns have been voiced over H&M being endemic in deer, elk, bison and other wild animals. There has been a vaccination program for bisons just for that reason. As for the UK, UK-law forbids the import of vaccinated cattle. As to the failure of the "American Dream", well, I fail to see any connection. Just out of what nether region did you pull that one? Jorg, I don't need a browser. My husband was born and raised on a dairy farm and farmed himself for quite a few years as an adult. We now lobby for dairy farmers (as well as other ag interests).I'm well aware of the issues surrounding vaccination. It's not news. It's true w/dogs and humans. Ever get a flu shot and still come down w/it because you caught a different strain? Ever vaccinate your pup for bordella and still have her get sick with a different strain? The difference is that there is no law in the U.S. that says farmers cannot vaccinate. I know one w/a 3000 head herd with a brucellosis outbreak on the farm next door. He vaccinated. Was APHIS pissed? You bet. Tough darts. APHIS wasn't going to put food on the table w/3000 incinerated carcasses. The FMD vaccine bank in the U.S. is on some reasearch island in NY I think, the name of which escapes me. And - maybe in 2001? 2000? - Uruguay had an outbreak it stopped w/vaccinations - among the other control methods, of course. And there is - and has been - a test - developed at Pirbright, no less - that can distinguish vaccinated from unvaccinated animals, therby mitigating the 'false/positive' problem considerably. It's called the UBI peptide-based vaccine diagnostic system. So you see Jorg, my harange was not based on ignorance - mine anyway- of the science. It was based on the POS called the EU. The latest news I have is that 300,000 units of stain specific vaccine have been ordered up in the UK and vaccination teams are moving into the area, but DEFRA has not made a final decision. Jorg, in the event you are irony-challenged, you do understand the little problem the UK may be having w/the designation FMD free without vaccination I hope. Jorg, I don't need a browser. My husband was born and raised on a dairy farm and farmed himself for quite a few years as an adult. We now lobby for dairy farmers (as well as other ag interests).I'm well aware of the issues surrounding vaccination. It's not news. It's true w/dogs and humans. Ever get a flu shot and still come down w/it because you caught a different strain? Ever vaccinate your pup for bordella and still have her get sick with a different strain? The difference is that there is no law in the U.S. that says farmers cannot vaccinate. I know one w/a 3000 head herd with a brucellosis outbreak on the farm next door. He vaccinated. Was APHIS pissed? You bet. Tough darts. APHIS wasn't going to put food on the table w/3000 incinerated carcasses. What "bordella" or brucellosis have to do with F&M quite escapes me. Different animal and different infections alltogether. Brucellosis is a bacterial infection, F&M is viral. Brucellosis is a very stable organism, so vaccination is lasting and specific. The FMD vaccine bank in the U.S. is on some reasearch island in NY I think, the name of which escapes me. Plum Island, Dr.Lecter had been offert a holiday there. It's still in the evaluation and test phase and the jury is still out on that. As far as I know it is not even available in the US. minority in the EU in not allowing FMD vaccination. Now, it does seem that current EU-Regulations are quite in phase with longstanding British policy. I'd be surprised it the current EU-Regulations weren't rammrodded by the British in the first place. The British have a long track record of bemoaning EU-regulations that they themselves have fought for. So, kindly blame the UK POS, not the EU POS. Yes, the report mentions repositories of F&M-vaccine in various places, including the UK. You know, the UK could vaccinate unilaterally, but as in the 2001-outbreak, seems to choose not to. Your harangue is merely kneejerking. What "bordella" or brucellosis have to do with F&M quite escapes me. You left out the part about flu - which is a virus. The point is that a vaccinations tend to be strain specific and everyone knows that. That is not an argument for not vaccinating. Yes! Thanks. All I could think of was 'it starts w/a 'p' I think'. I have a call into the veterinary dept at APHIS to ask about the status is the U.S. of such a test. But my guess is - no. There hasn't been an outbreak (according to the farmers I talk to) of FMD in the U.S. since the 1930s. The risk here is perceived to be so low that no one vaccinates so why would a company spend money to develop such a test for this market? As to the status in the UK/EU - since you guys haven't permitted vaccinations, even the vaccines are 'test/evaluation'. As to the status of the UBI system - my understanding is the same marked vaccine could be used across all species, e.g., bovine, pigs, etc. so I don't understand why what has already been developed for swine has to do into seperate development for bovines. I don't know the history of how the policy was implemented at the EU level, but I'll go you one better - I'll blame both. The report I read (warmwell, link given above) says 300,000 units of strain specific units have been ordered and vaccination teams are being moved into place. It says nothing about 'repositories' and you ignored the movement of vaccination teams in your response. Who is kneejerk here? You also aren't picking up on the utter defeat of a policy intended to get a desgination of 'FMD free without vaccination' and is now - after that debacle only 6 years ago - looking at a classification of 'not FMD free'. p.s. Is anyway else having problems with typepad/typekey? Well, Pitzke is just another useful idiot. By the way, here's a Deutsche Welle Germanizer! And yes, oldies but goldies... German warnings not borne out by Iraq war! In diesem Staat seien die Polizisten bei Verkehrskontrollen höflich, weil sie geladene Waffen im Fond erwarten. In this state the policemen are polite with traffic controls, because they expect loaded weapons in the rear. Taking the literalness of Babelfish translations under consideration, I presume this is saying something like, "In this state the traffic police are polite because they are afraid of guns in the cars." That seems to be the gist of the comment. I'm 58 years old, and have ALWAYS encountered polite police officers. Everywhere in the US. And I mean when I was pulled over doing about 90 mph in a 55 speed zone. They've been unfailingly polite. Does a policeman in Germany have to be afraid or worried in order to be polite? Are they customarily rude to people they stop? That's what it appears that this comment is saying. Why do they think it unusual for a police officer to be polite, so that it must be because of loaded weapons? The presence of the one side (policemen are polite because of guns) suggests that German policemen are NOT polite because there are no guns to worry about. A sort-of self-indicting statement there! Doug, thank you. Just remember, the dumber the better. You're speaking for the reality challenged. Enjoy. BTW, Doug I wish I could take credit for the game but someone else came up with it. I can't give you a reference 'cause I forgot. Forgetting normally takes about five minutes. Bush passes Law that allows eavesdropping on everybody calling in or out of US and internet. "Something like this coming from the country which claims to be caring most about freedom, unbelievable"
"What can you expect from a guy like Bush..."
"Be careful when you communicate with your vaccation flirt from Florida ... the word sexbomb might bring you in big trouble"
Thats how news are presented here in germany. No other side of the coin. Not even mentioning that the law hasn't even passed yet. No mentioning that the law has to be passed by the congress not by Bush.I could puke. Btw, I also have already a couple of time seen that they explicitly mention that the Company in UK that supposedly caused the Outbreak is american. I am sure that somone took specific care to find any connection to the US. they explicitly mention that the Company in UK that supposedly caused the Outbreak is american. Do they say it is American AND FRENCH or just American?